The sleek lines of the Premier 7343 give it a modern edge, while its oval well harkens iconic style. Better yet, it’s built for two. Crescent armrests, curvilinear raised supports, and sloping ends embrace both bathers in classic symmetry and relaxation. 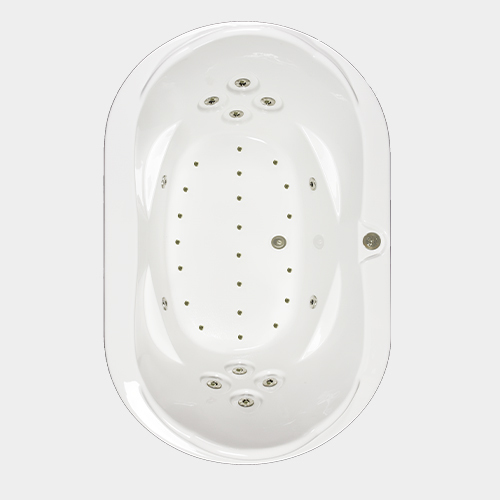 Matching sets of four hydrotherapy jets are recessed in both ends so you and your partner receive simultaneous back massages. 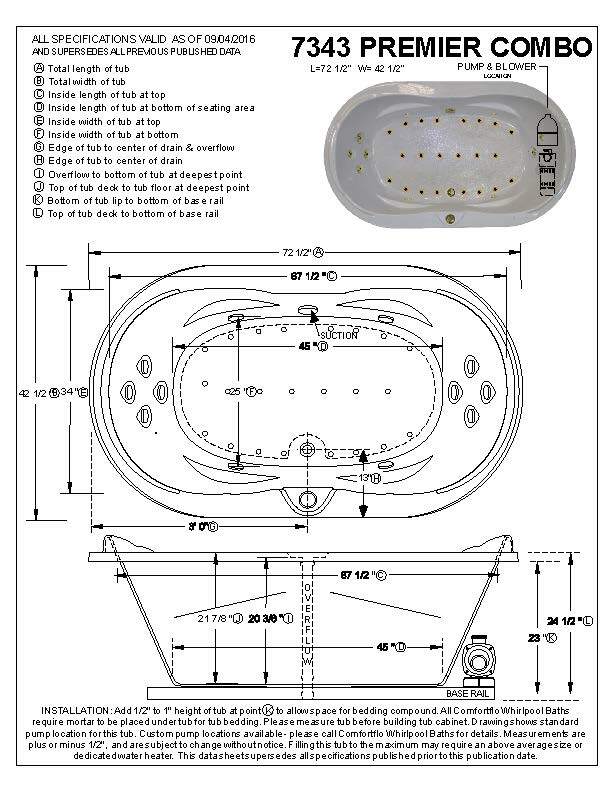 Four more jets massage hips and calves, while 21 jets in the tub floor create bubbles to massage the rest of your body. The deck sides are angled so water flows back into the well, and our Top Overflow allows it to be filled to the very top. Imagine creating a tranquil haven for two in your home. Install the Premier 7343 combination tub—the perfect centerpiece for your master bath—and make it happen. •	Shipping weight: 184 lbs.